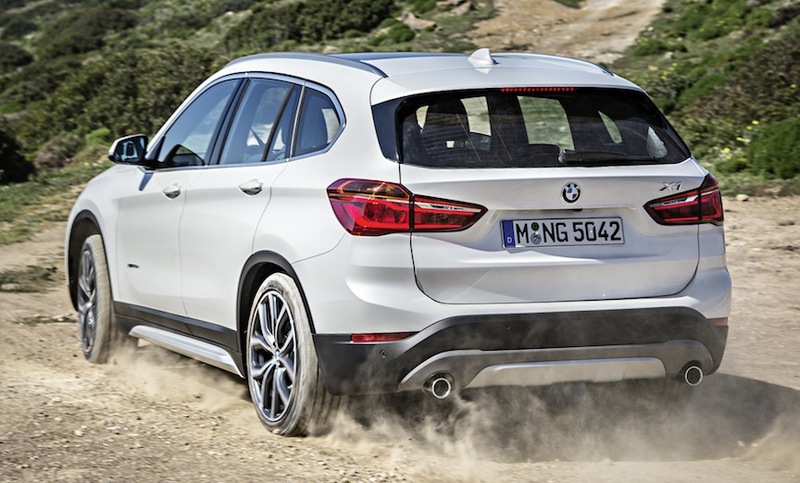 BMW X1 2.0 by Jim Corbran, Automotive Columnist The Bavarian auto manufacturer has recently announced the second generation of what it calls its Sports Activity Vehicle — the X1. So, what’s new? More interior space (both for passengers, and cargo at 58.7 cu. ft.); increased fuel efficiency (up by 17 percent); and new styling (BMW calls it “rugged proportions, a powerful presence and dynamic lines — I just say “looks great!) are among the highlights. Although it probably won’t hit showrooms until October, you can go online now (see below) and build one of your own. There you’ll see the various packages (some of which cost more than my first new car, lol), options, and exterior/interior choices. I’ve got to say that I’m disappointed in the color choices, which is to say it’s the usual blacks, dark blues and grays, whites and silvers, and, curiously two different shades of brown. The interiors at least offer something other than the usual black and gray, in leather and something called Sensatec, which upon further digging turns out to be vinyl. Sensatec sounds more “luxurious.” Although there are a number of engine/transmission choices in other markets, here in the U.S. all X1s will be equipped with a 2.0L TwinPower Turbo I-4 rated at 228 hp, which will be hooked up to an eight-speed Steptronic automatic transmission. I’m looking forward to getting behind the wheel of a new X1 sometime soon. In the meantime… more info at: BMW X1 ### The post BMW X1 2.0 appeared first on Buffalo Cars.